For Ravi Srikant, the financial crisis of 2008 was a life-changing event – but maybe not in the same way as it was for others. The Great Recession steered Ravi onto his current career path in finance. Since then, Ravi has earned his MBA in Finance and has passed all three levels of the CFA exam. Ravi is at the beginning of his career in finance, and has held positions at FinFirst Capital Advisors and ICICI Bank, India’s largest private sector bank. 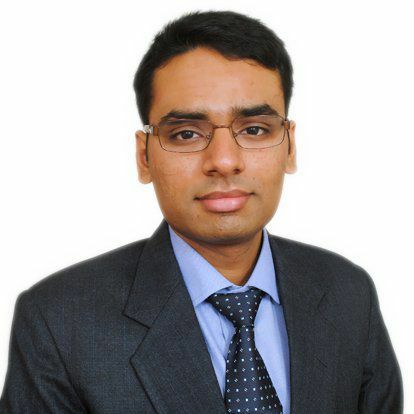 He currently works as an investment manager for Muthoot Family Office. Ravi is skilled in financial modeling, financial analysis, management, and corporate finance, with industry knowledge in equity research, private equity, investment banking, mergers and acquisitions, wealth management, and financial strategies. He’s especially interested in history, geopolitics, and how they interact with and influence the economy. Ravi is also interested in Indian infrastructure sectors, including the short-term power market. For Investopedia, Ravi has written on a variety of topics relevant to the Indian economy, including banking in India, Indian billionaires, and emerging Indian companies. Ravi has also used his writing for Investopedia to explore his interest in the influence of geopolitical events on local and global economies, such as in his piece, “Oil and Terror: ISIS and Middle East Economies. Ravi holds an MBA in Finance from Narsee Monjee Institute of Management Studies.